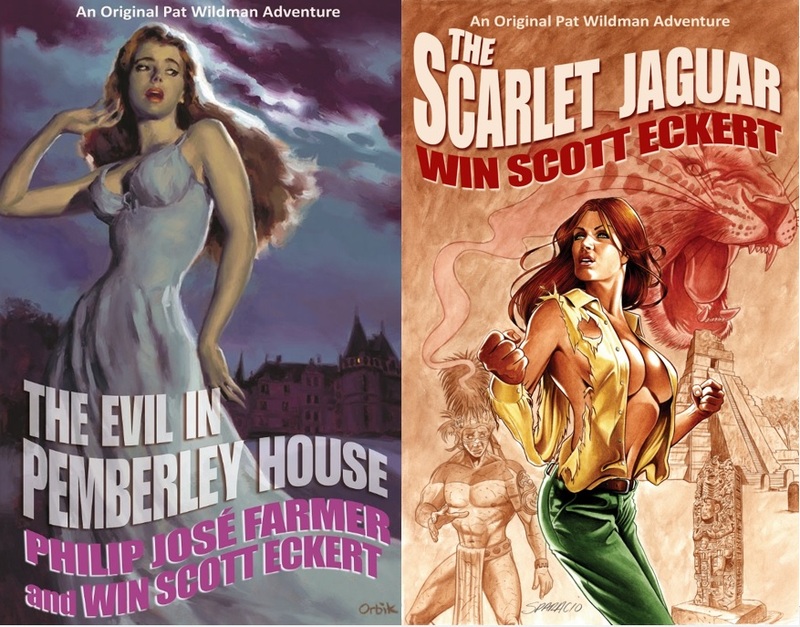 Meteor House is working hard to ensure that the Pat Wildman series appears in print in all formats: hardcover, softcover, and ebook. The Evil in Pemberley House (Pat Wildman #1) appeared in hardcover from Subterranean Press in 2009—check. It's currently available in softcover direct from Meteor House, with an Amazon listing coming soon—check. The ebook is being worked on right now and should be out soon—check. The limited edition hardcover of The Scarlet Jaguar is available for preorder. The print run will depend on preorders, and only a few copies more than the preorder number will be printed. So when it's gone, it's gone! Preorder deadline is Nov 1, so head on over to the Meteor House site and reserve your copy now! And after you place your preorder, head on over to the revamped Pat Wildman series website and check it out!